Good news Gurgaon folks – you don’t have to drive down to Delhi any more to visit Carnatic Cafe for filter coffee and their famous Malleshwaram 18th Cross Dosa. The much-loved South Indian restaurant recently opened in 32 Milestone next to the Google office, and has already been getting a bunch of visitors from around G-town. There’s no comfort food quite like crispy dosas and piping hot sambar. We’re especially partial to their neer dosa and their dahi vada, but that’s just us. 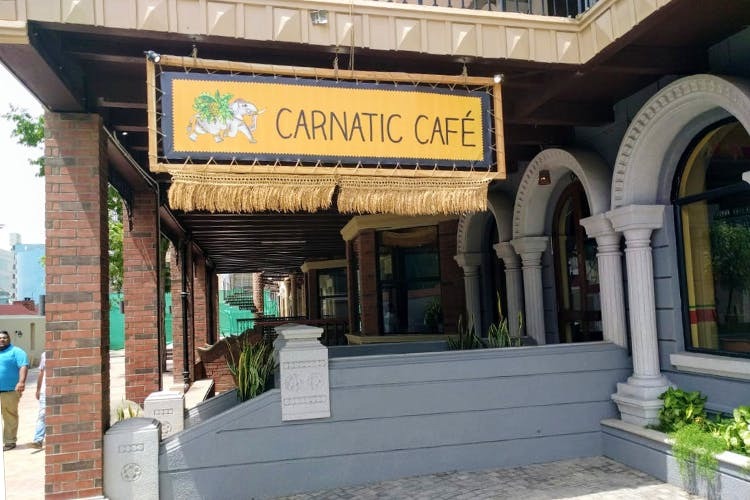 If you find yourself in Sector 15 craving some home-style South Indian food, Carnatic Cafe is just where you ought to head.